The Enduro Engineering bar riser kit lets you simply raise your handlbars. Interlocking 6061 aluminum CNC machined pieces. Being 6,4” I’ve always had issues with bars and risers. These are amazing no flex good sturdy solid mounts. Typical EE part. Instructions were easy to follow. Installed in a half hour. Works and looks great. You have plenty of choices and fitment is good. Easy to install, mine took 20 mins start to finish. Easy to mock up so you can decide what combo of blocks will result in the bar rise you desire. Easy to install . Makes it easy to customize fit . These do exactly what Enduro Engineering designed them to do. The lower one piece clamp is robust and solves the twisting of the bars in the stock two piece KTM bar mounts. EE makes good stuff. I bought these to raise the handlebar height on my KTM, they work great and installation was very quick and easy. Made me a better rider! These allow me to stand on the pegs a lot more. I'm more comfortable in the standing position now that I'm not hunched over anymore. Everything from E.E is top notch ! I put these risers on when I got the bike...love the ability to adjust the stack. I started with all the spacers in, and now only have about a 1/4 inch rise. simple design that gets the job done. Pleanty of combinations to get the perfect bar hight. If you stack the spacers, they will twist and bind making it hard to get the bar mounted back on. Once you get the alignment right, it is good fit. If I were to do it again, i would get risers that are a fixed height because I used the max height any way. When I ordered this for my bike it only showed 20mm available and not the 30mm. I ordered the 20mm but when the kit came it actually had the pucks to go to 30mm but the instructions they said to go max 20mm. So that's what I did. I haven't been able to go ride yet, but it looks like it will help. This is a good product for the price tag. It was very easy to install and took about 20 minutes. The instructions were clear and easy to follow. It worked exactly as advertised. I haven't taken any hard falls, so I can't really judge the overall durability yet, but it seems like it would hold up just fine. I would definitely buy again. This was great in that it has options for the height and all the hardware necessary. Went mid-height and good for now with the option of raising or lowering. I like the versatility of the kit with the different heights available. I have all 30mm on mine and I love it, alot more comfortable. Would definitely recommend. Excellent product from a quality company in the industry. Easy install just select size of bar rise you want and follow the great instructions supplied with the kit. You can also watch install videos on Enduro Engineering website or call them with any questions. Also comes with a great looking decal ! Great kit if you can't decide what height you want to raise your bars. I bought these to raise my scotts sub mount a little higher. Worked great. I like all the different combinations of heights you can use with these. If you tall.... You NEED these. I WISH I got these years ago. My riding and comfort are so improved it is hard to imagine life without them. I have been rocking the 15mm think I am going to drop to the 10mm. I am 6'2" 205 and with the risers, and some larger pegs (size 12 boot) I literally feel like my bike fits me now. I also upgraded my seat with a bump pad, such an improvement. These made a world of difference when standing on my bike. 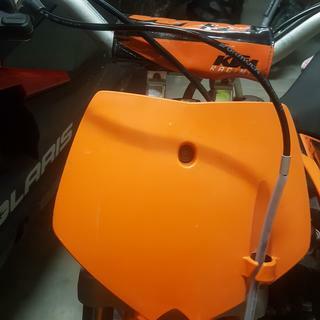 Fit my 2015 KTM 500EXC perfectly and were super easy to install. Bought for my Husky exactly what I expected from EE top quality parts and excellent fit! Have bought tons Enduro Engineering products over the years and have never been disappointed with anything. You can buy a lil cheaper parts but you get what you pay for. Their customer service is exceptional too! Well though out design with all the hardware that you need to get them in. Have had a few hard crashes since I put them on, and they are still hold up fine and haven't had to re-torque the hardware yet! Quick install, EE products come with good instructions and install is a snap. I am 6'2 and the 30 mm could be just a little taller but much improved over stock. The multiple pieces allow for varying heights, which is cool. I'll eventually break down and buy a set for my second bike. This product fit perfectly, came with top quality hardware, and t's super easy to adjust/change bar height. Great product if you're tall and want to experiment with bar height for a better riding experience. Running a set of these on my KTM's and they are great for customizing bar height especially if you are taller. Easy to swap out pieces and experiment with different heights, gave a 4 star rating but when running the longer bolts they bend easily when crashed. The bolts can be sourced in quantity but that is the only downfall, swapping them takes about 10 minutes. These bar risers are a clever and inexpensive method to raise your bars, so if you are unsure about buying more expensive (and possibly more durable) risers and not sure if you really want risers then this might be a good way to go to try them out. I am 6-3, and have a long torso so I really like having my bars up higher. I really love this handlebar riser set. I like having the option to fine tune the height and it is easy to work on. Good stuff!! Easy to install, factory fit and finish. All parts needed are included, great quality and price. Great quality and with 3 steps gives most adjustability. Little complain the supplied screws seem to get real tight with the screw head in the non-threaded handlebar mount on my KTM so that the lower handlebar mounts start to rotate heavily as you tighten it. After tightening it once the screw is so hard stuck in the lower mount that it is hard to get out again. Definitely needs some rework next time I take it off! I bought this kit because I wanted to play with different rises on my bars to find what best fits me. Good kit, would buy again. Good: The kit is High Quality and complete with everything needed. I like that I can rise my bars in 5mm increments. Made in USA. Bad: On my 2008 250XC, you can only go up to 25mm rise even though the kit is sold as 5-30mm rise. Also, when you put the risers on there is a little slop in the indexing stubs. This allows the clamps to become misaligned. When you tighten the bar down into the clamps they straighten right out, so not really a huge deal. I am 6' tall and this gives my some versatility in raising my bars to a comfortable height. Excellent product. Easy to install. Very simple. I'm a heaping hunk of man and needed a little extra height under my bars. These provided plenty of height. The different pieces fit together in a way that they seem to lock together when you stack them. Made for easy install. Thought it was a great product... Dumped my bike recently and thought I had bent my bars but had actually bent and crushed one of the spacers that goes under the bar clamps. Glad that it did not completely fail. Easy instal, plenty of height options to get the right position on the bike for a great price. Does there job and gives you options. The kit works fine. I used the 15 and 10 mm(max) and my only issue is it put some stress on the throttle cables. I turned the housing back towards the rider to give it some slack at full left turn. Overall, just what I needed to fit my height. I like the flexibility of these risers. I started with the middle size and eventually decided the largest size was right for me. Great price, easy to install. Typical Enduro Engineering Product, right on the money. Easy to get bike set up like you want. 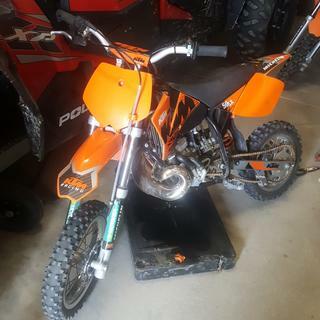 Bought a KTM with a low set of bars. I hate that. But the bars were nice. Did not want to buy a new taller set. Sooo, I purchased this instead. Worked just perfect. As usual, Enduro Engineering stuff is perfect. Easy install, nice parts. Would recommend to anyone who stand while riding. About the same price as a chiropractic adjustment. We do not recommend using more than the 30mm of riser that is supplied in the kit. No. Please don't. The bolts won't be long enough. could I mount a GPR steering stabilizer on top of these? Will this fit a 2001 640 LC4 Adventure ? Would these work on a 2017 KTM 250 xcw?